Our penultimate day in Swizterland saw us travel back to Basel via a couple of stops along the way. Having left Wassen just after breakfast we took the motorway to the small town of Stansstad, this town had a small station run by narrow gauge operator Die Zentralbahn. 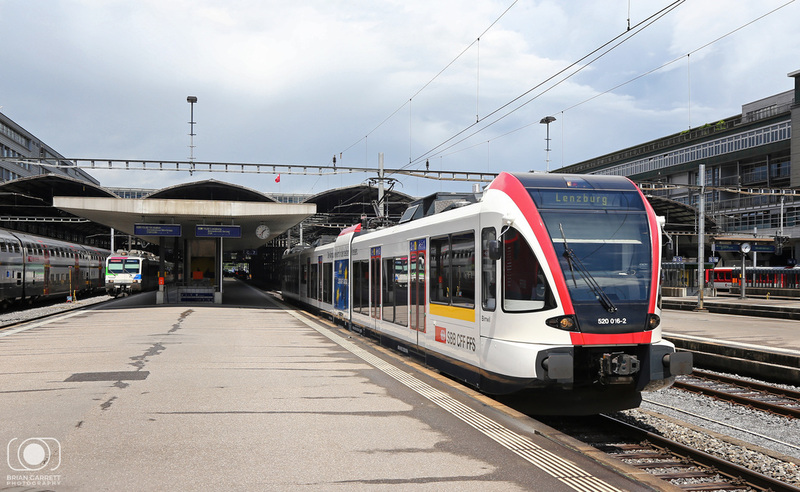 They operate over a wide network with their main operations hub being Luzern. From here we drove back into Luzern and visited the Swiss Transport Museum where we spent a couple of enjoyable hours looking around the amazing exhibits. At lunch time we returned the car to the hire company and then made of Luzern Station where we spent some time on the platforms before buying our train tickets back to Basel. 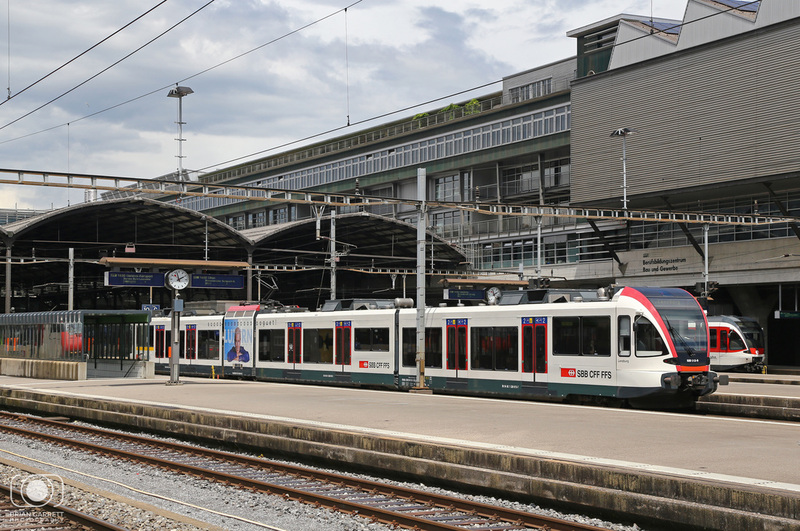 Luzern has a huge variety of traction to see, with SBB, BLS and Die Zentralbahn all using the station, it's also a busy interchange station for the longer distance international trains to and from Italy. 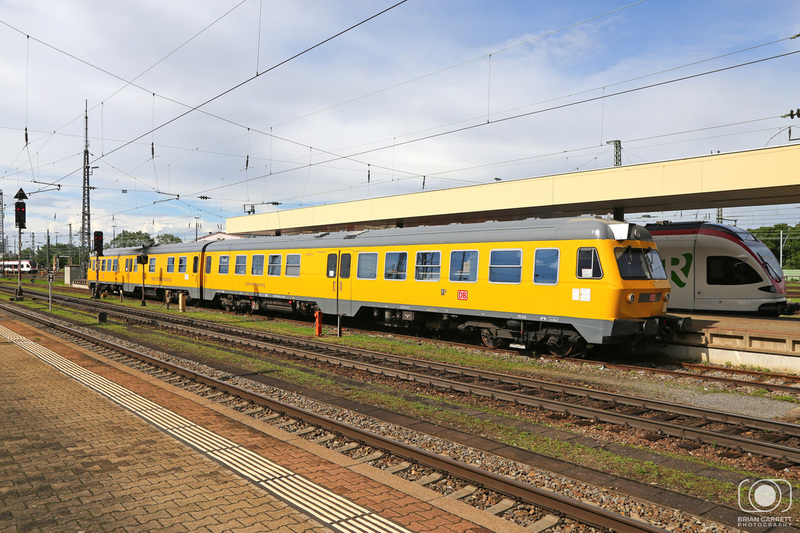 Die Zentralbahn Class 172 No.172 983 is seen stabled at Stansstad Depot. 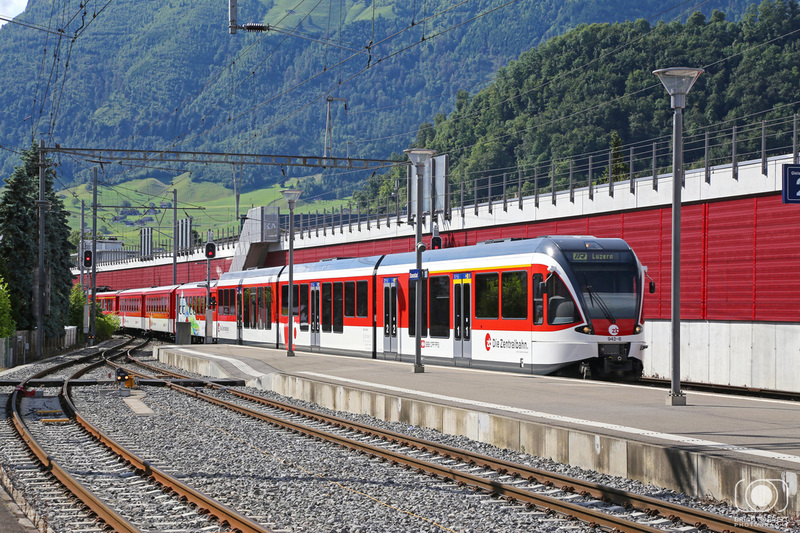 Die Zentralbahn EMU No.942-8 passes through Stansstad Station with the 09:01 Engelberg to Luzern. 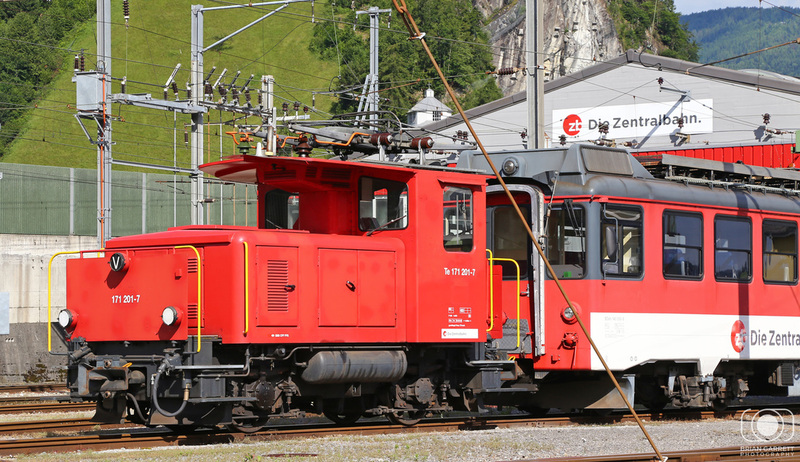 Die Zentralbahn Class 130 No.130 005 departs towards Luzern with driving trailer No.925 leading, while working the 09:40 from Stansstad to Luzern. 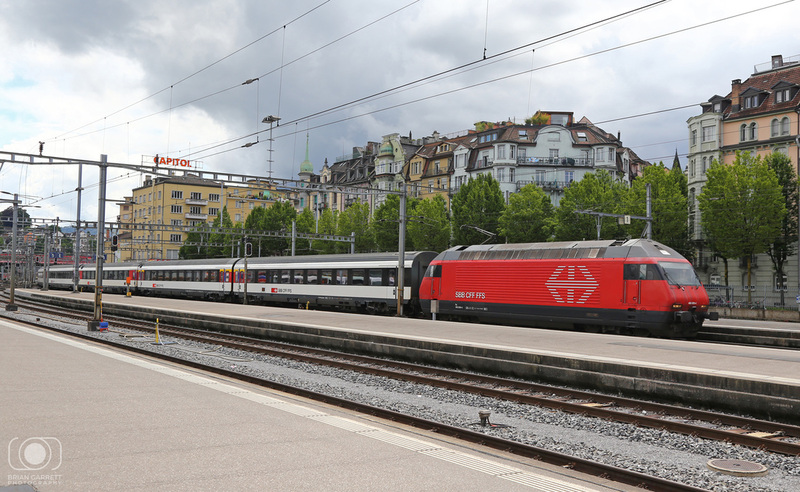 SBB Class 460 No.460 049 prepares to depart from Luzern with the 13:35 to Zurich Flughafen. 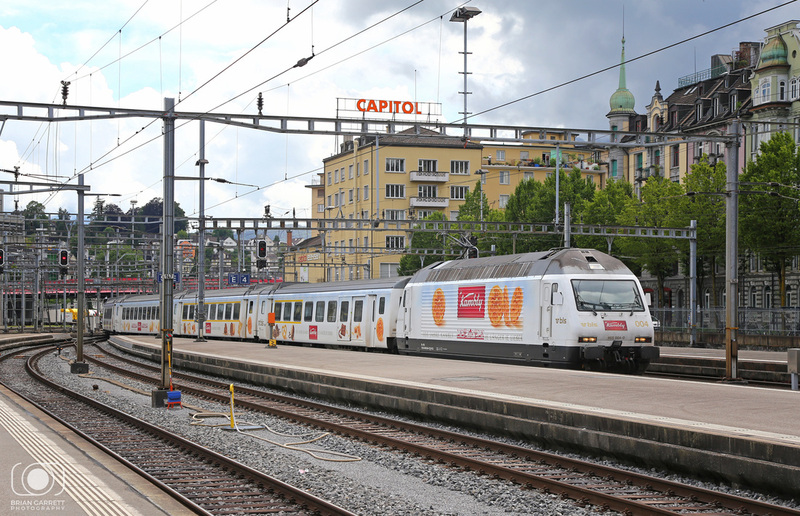 SBB Class 460 No.460 056 arrives into Luzern with the 12:17 Basel to Luzern. 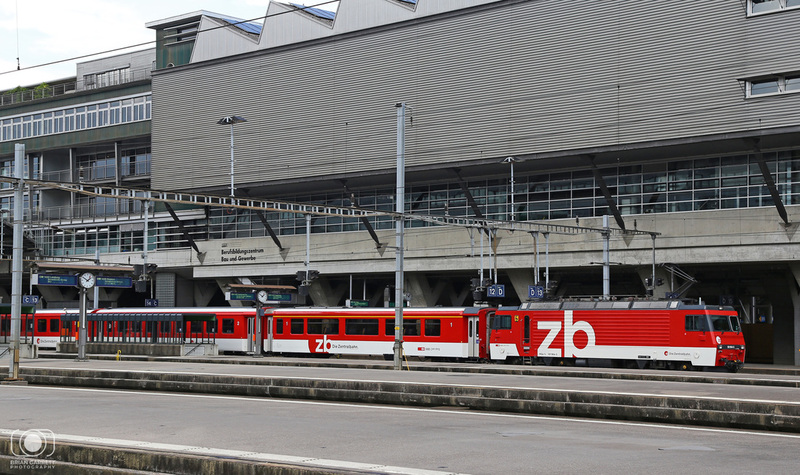 SBB Class 460 No.460 064 departs from Luzern with the 14:10 to Zurich Flughafen. 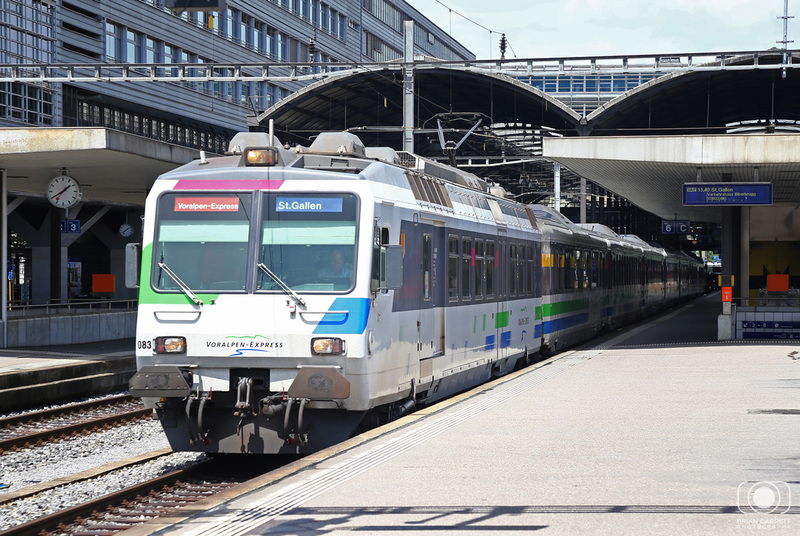 SBB Class 520 No.520 016 dpearts with the 13:32 Luzern to Lenzburg on a Reigo S9 service. 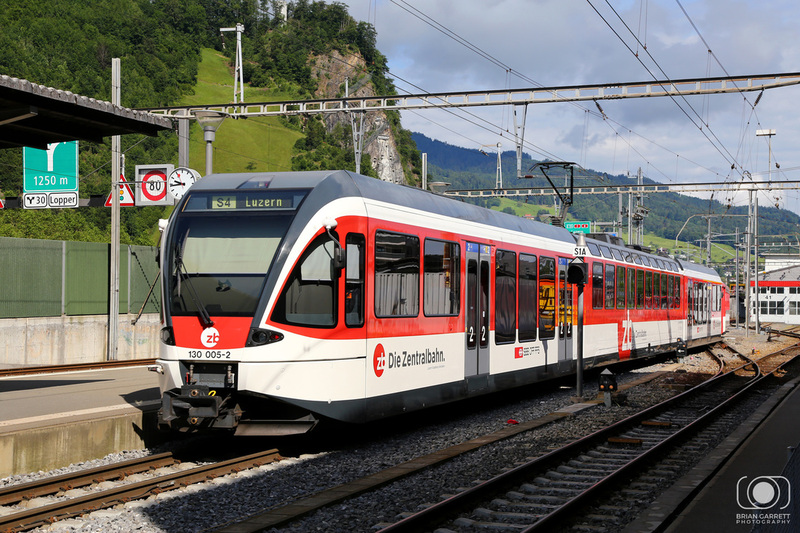 Voralpen Express EMU No.561 083 departs with the 13:40 Luzern to St Gallen service. 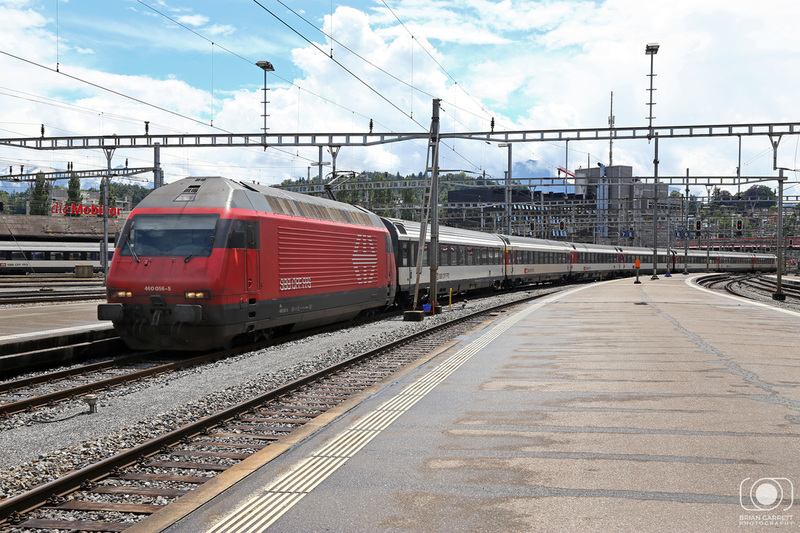 Class 610 No.610004 arrives with Train Service 676 the 11:10 Lugano to Basel via Luzern. 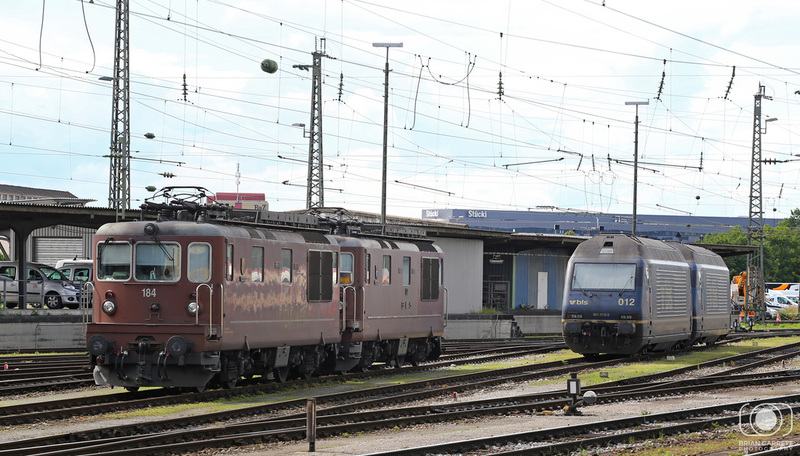 BLS operated EMU's No.525 036 and No.525 014 arrive with the 12:36 Langnau to Luzern service. 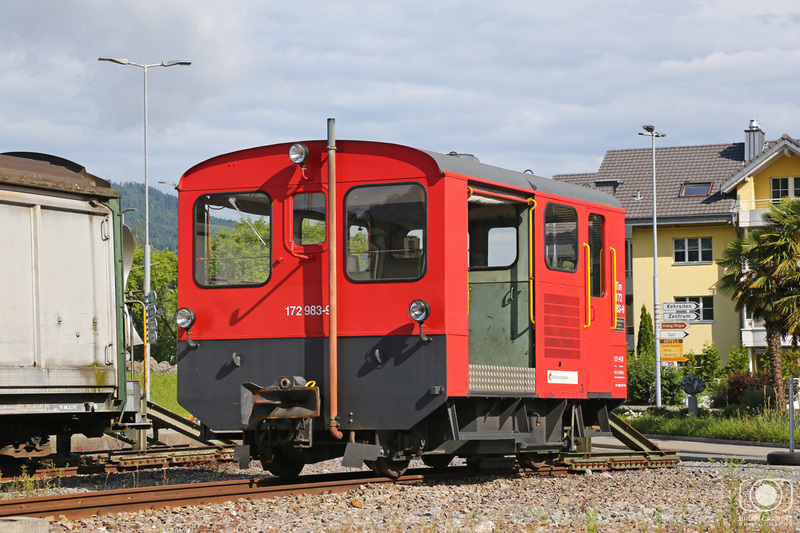 Die Zentralbahn Class 101 No.101 964 departs from Luzern with the 14:10 to Engelberg. 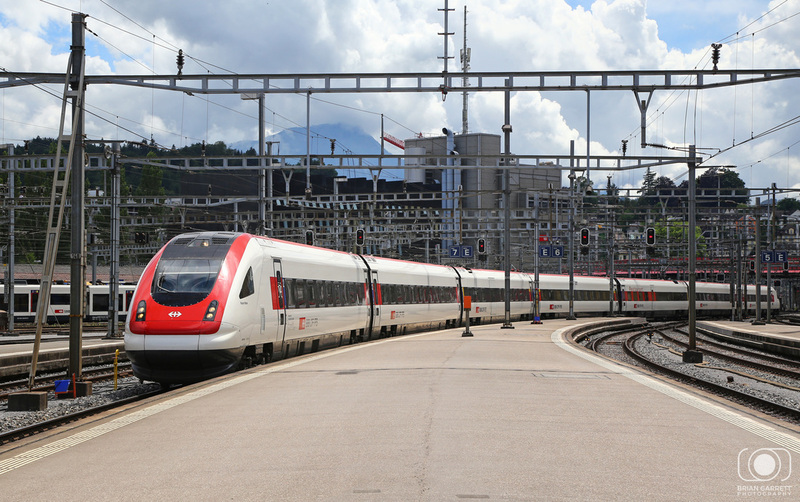 SBB Class 520 No.520 013 departs with the 14:02 Luzern to Lenzburg. 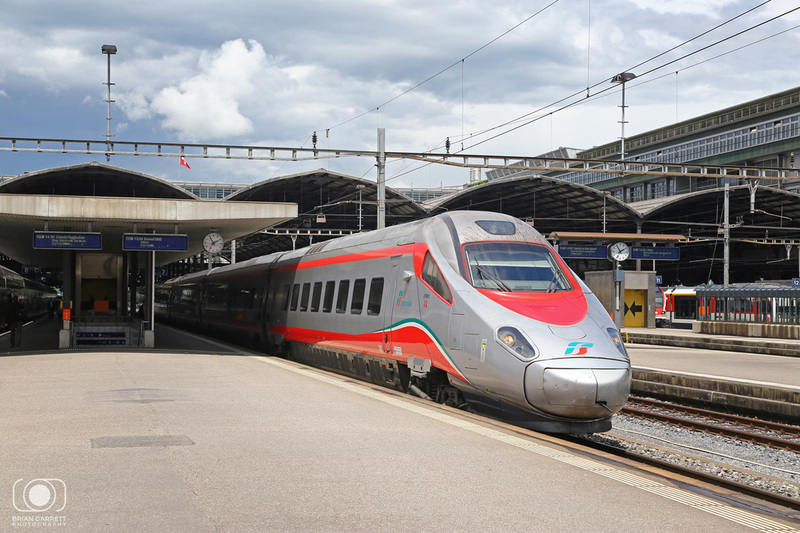 Italian Pendilino Class 6120 No.610 004 departs with the 11:10 to Basel SBB. 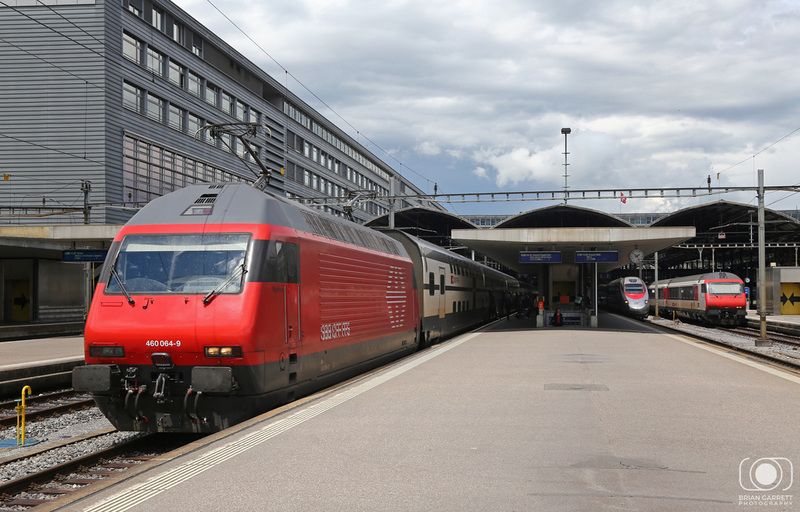 SBB Class 460 No.460 009-arrives with the 10:21 from Geneve Aeroport into Luzern. 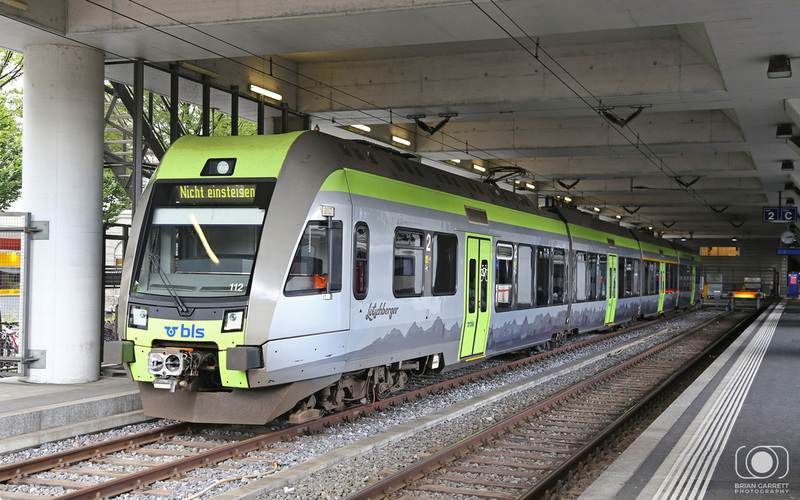 BLS Class 465 No.465 004 arrives into Luzern with the 12:26 from Bern. The locomotive (and train) carry Kambly Biscuit Livery, makring 100 years of the manufacturer. 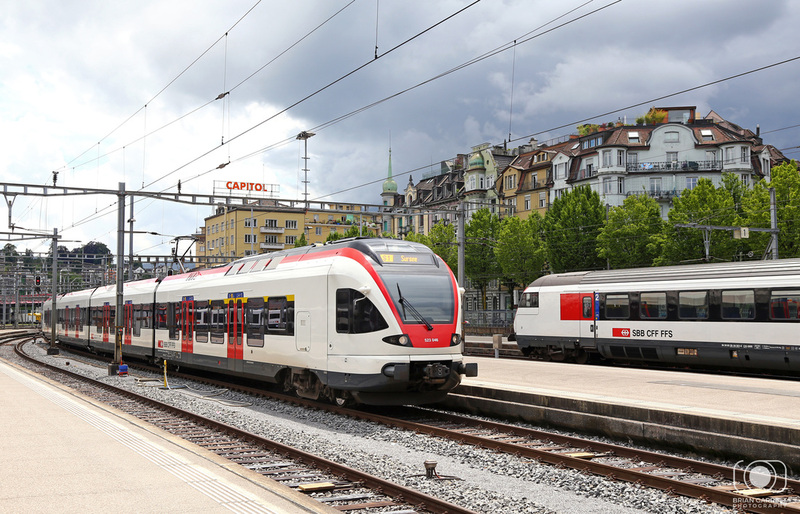 SBB Class 500 No.500 010 arrives into Luzern with the 13:04 Basel - Locarno. 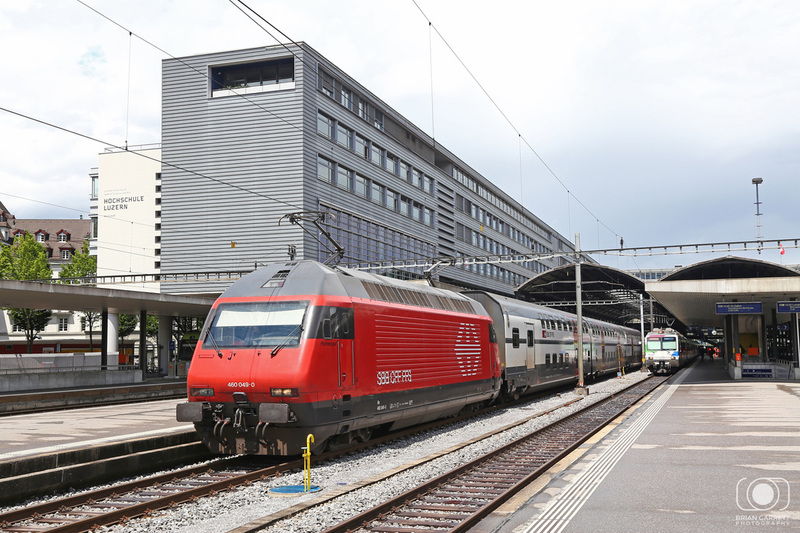 SBB Class 523 No.523 046 arrives into Luzern with the 13:41 Sursee to Luzern service. 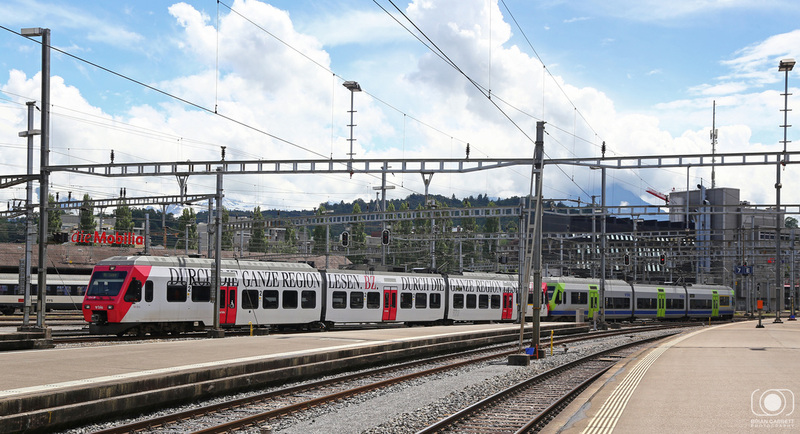 BLS Class 535 EMU No.535 112 is seen stabled at Luzern between duties. 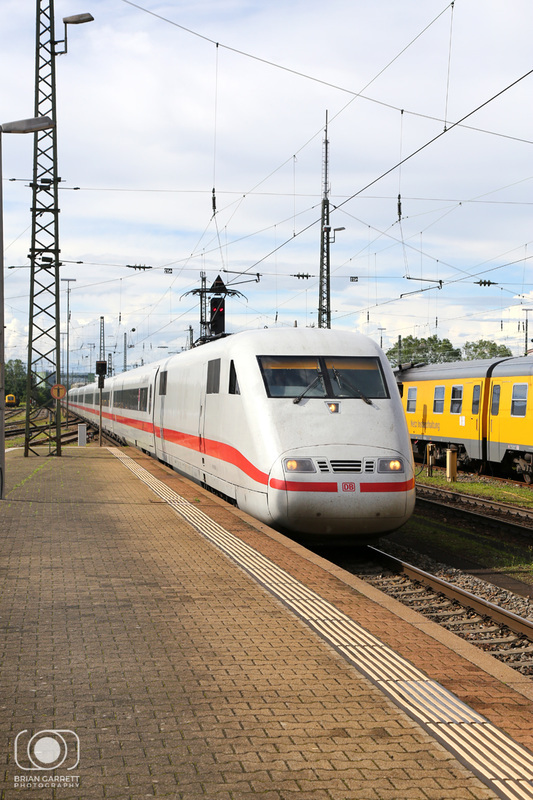 Arrival back into Basel SBB was as DB Class 410 ICE arrived with the 07:59 Berlin HBF to Basel service. 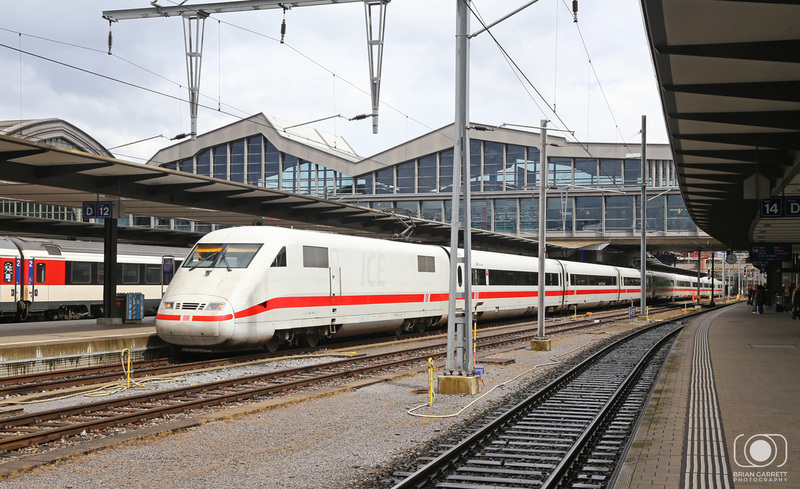 DB Test EMU No.99-80-9610-001 is seen stabled at Basel Bad. 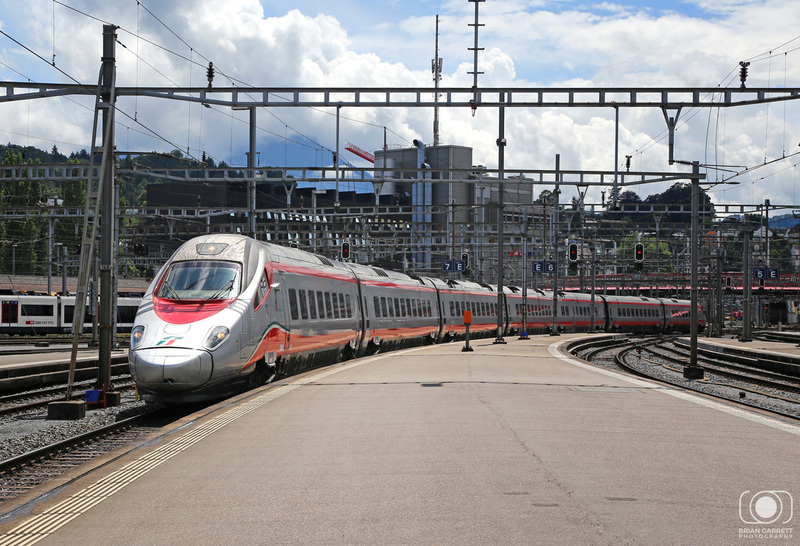 DB ICE No.401 586 departs from Basel Bad with the 17:06 Basel SBB to Hamburg. 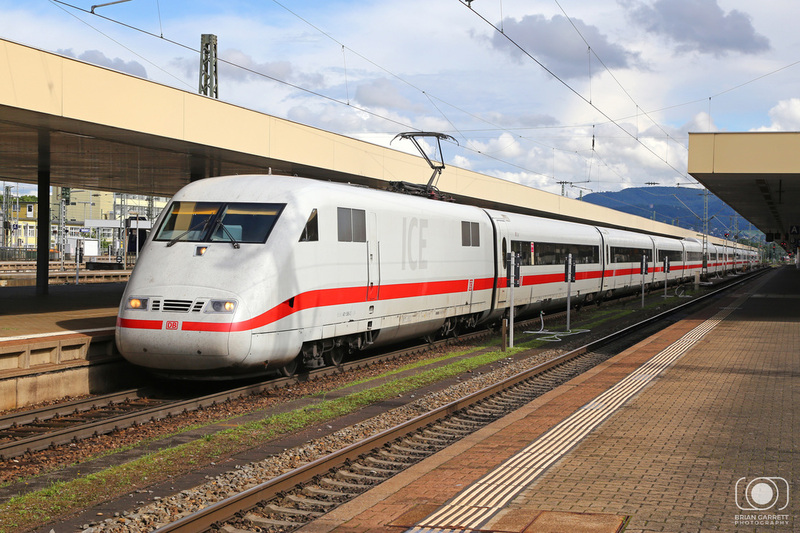 DC ICE Class 410 No.401 590 arrived into Basel Bad with the 10:24 Hamburg Altona to Chur. 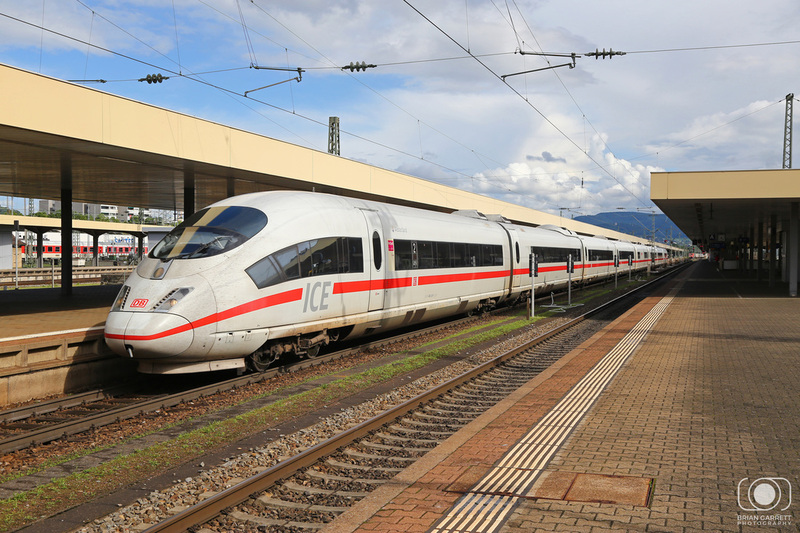 DB ICE3 No.403 031 departs from witht he 17:06 Basel SBB to Frankfurt. 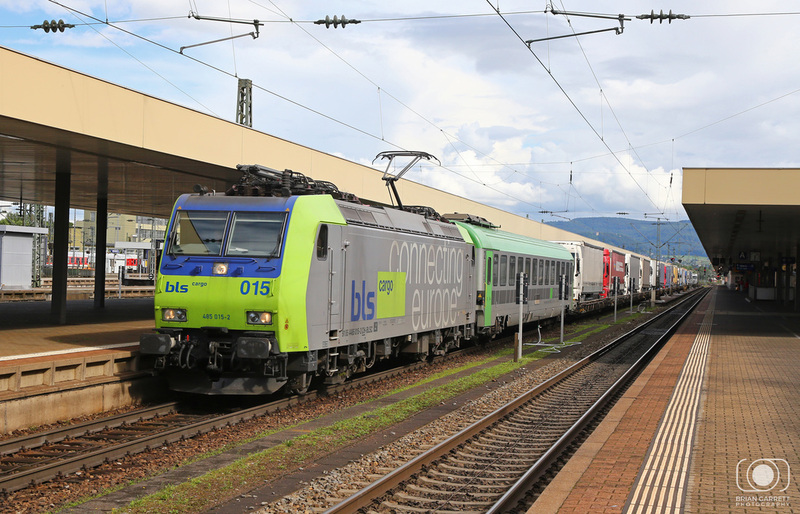 BLS Class 485 No.485 015 passes Basel Bad with the 10:45 Novara to Freiburg lorry transporter service (Ralpin). 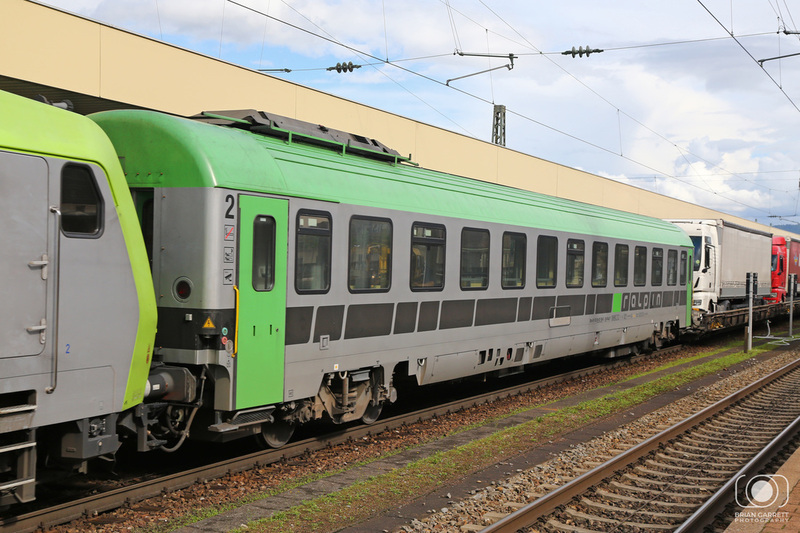 The Ralpine drivers coach is seen located behind the locomotive. 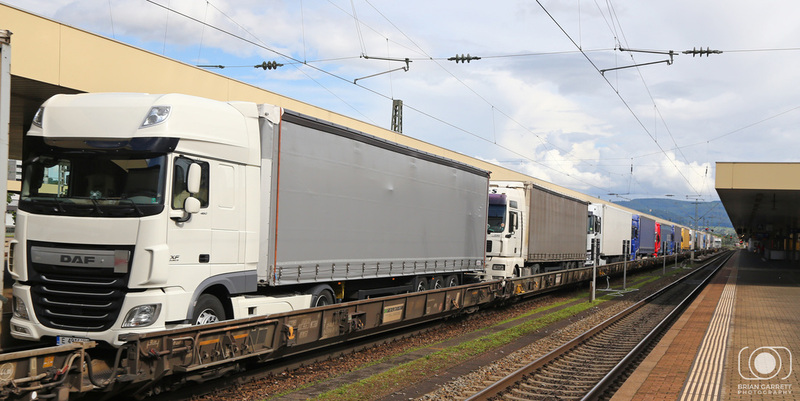 The trucks are transported on open wagons along the length of the train.